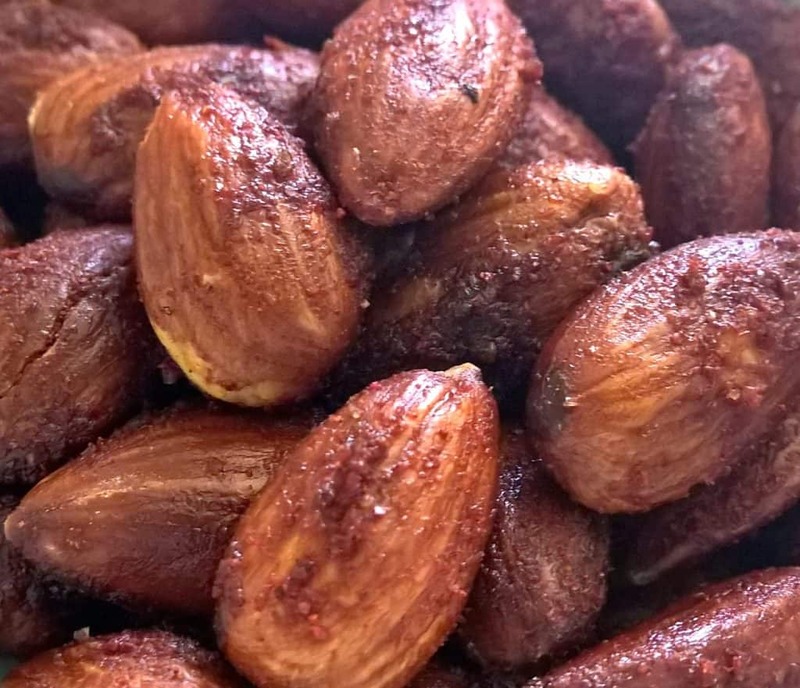 If you’re following a Whole30 diet plan or you’re Paleo or you just want some dang good almonds, here’s an easy recipe for Barbecue Almonds. 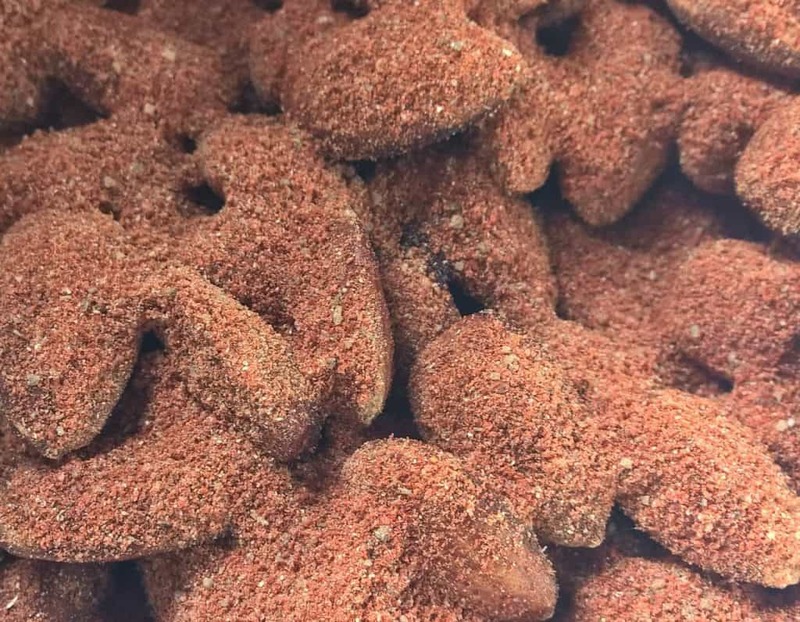 These Barbecue Almonds will keep you on the road to success and give you an incredible snack that will honestly fill the “I want something crunchy and carby” feeling we all get. Wait, we all get that, right? So I get that “I want a chip or cracker” feeling and I know I’m vulnerable, for the most part, I’m home alone pounding out a novel and eating anything sounds more fun than working through writer’s block. So I created these Barbecue Almonds as my pre-exercise snack. I get oils, flavor, crunch, protein and I set myself up for exercise by eating these as a snack and then heading out for a walk within the next hour. I also stay on track for my mostly Whole30 lifestyle. Now about that “mostly Whole30 lifestyle”, what’s up with that? Well, we enjoyed out Whole30 experience so much that we decided to move to 5 days full on total Whole30 and let it slack a little on weekends. So we can enjoy popcorn with our weekly movie night and maybe a corned beef hash burrito on Sunday morning. This is our first week really trying it and I am loving it. We do plan to do another whole Whole30 but for now, this is working. 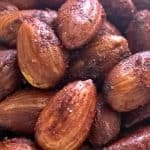 If you're following a Whole30 diet plan or you're Paleo or you just want some dang good almonds, here's an easy recipe for Barbecue Almonds. 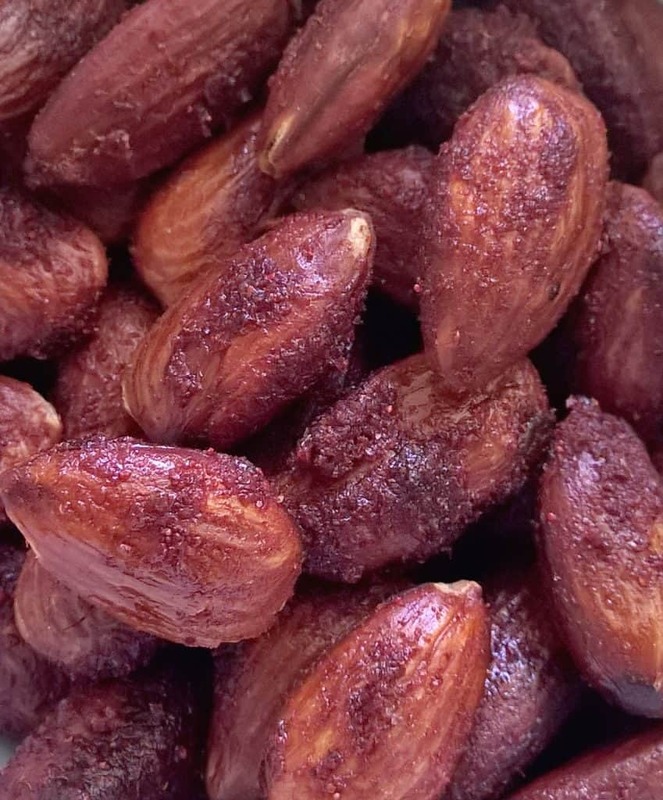 If you like to soak your almonds before roasting them, by all means, please do! Smoked Paprika (Affiliate Link!–I will make a few pennies off of Amazon if you click through and buy it). My hubby would love these as a healthy snack! PINNED! What temperature do you roast the almonds at?